Like 2017 and 2018, pollsters have again found that losing weight is the top New Year’s resolution for 2019. Many people turn to exercise to help them achieve their goal—which is why you see a spike in gym memberships in January. Joseph E. Donnelly, professor of medicine and director of the Center for Physical Activity and Weight Management at the University of Kansas Medical Center, is an author of several of the studies in the 2018 review. He’s also a big proponent of exercise for weight loss. They were divided into two groups: burning either 400 calories or 600 calories per workout. There was also a control group of people not assigned to exercise. By the end of the study, people in the 400 calories group lost an average of 4.3 percent of their weight, and those in the 600 calories group lost an average of 5.7 percent. To put this in perspective, in order to burn 400 calories, a 160-pound person would need to do one hour of water aerobics. To burn 600 calories, they’d have to run at 5 miles per hour for an hour. The average daily intake is 1,600 to 2,400 calories for adult women and 2,000 to 3,000 calories for adult men. It’s not surprising that people in Donnelly’s study lost weight—they were burning an extra 2,000 to 3,000 calories per week. To turn exercise into weight loss, you have to stick with it—which is also true of dietary changes. To lose weight with exercise, you have to work out continuously at a moderate or vigorous intensity. In the lab, researchers use high-tech tools to make sure people burn a certain number of calories. Outside the lab—and in physical activity guidelines—we generally use hours to track exercise because it’s easier. But people often overestimate how hard they’re exercising—so your hour-long workout might only include 30 to 40 minutes of real effort if even that. There’s also the danger that you’ll undo all your hard work by indulging in a high-calorie treat after your workout—like a handful of chocolate chip cookies or a sugar-loaded coffee drink. In Donnelly’s study, people in the 400-calorie group didn’t eat more than people in the control group. The 600-calorie group ate slightly more, but not enough to counter the weight loss. 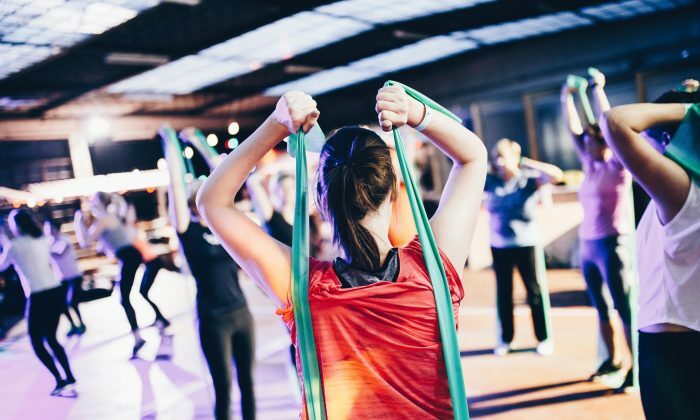 It’s not surprising that combining exercise and dietary restriction leads to greater weight loss—you’re burning more calories and at the same time reducing your intake. So should you focus on diet or exercise … or both? The real goal of any program is keeping the weight off in the long term. For this, exercise can play an important role—for some people. Not everyone will be able to do five 600-calorie workouts per week. Some people may have physical limitations such as arthritis or a super busy work or home schedule. So you have to find what works for you and what you will stick with. Right now, there’s no magic formula for how much to focus on exercise versus diet. But an online tool provided by the National Institute of Diabetes and Digestive and Kidney Diseases could help. It lets people customize their exercise and diet to reach their desired weight loss goals. Before you choose diet over exercise, keep in mind that regular physical activity has many other health benefits beyond weight loss—including improving mood, boosting energy, and reducing the risk of stroke, type 2 diabetes, depression, and other diseases.